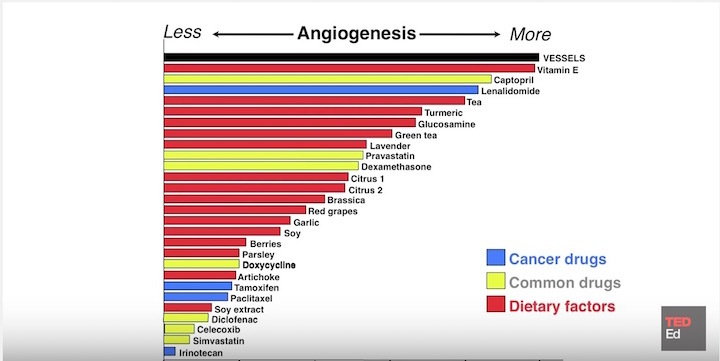 I want to share an important video with you containing a lot of new research on Angio-Genesis and it’s role in obesity and cancer. Watch this 20-minute video and I guarantee it will change your thinking on cancer and what you place in your diet. Watch the video with doctor William Li on Ted Talks. Chronic illness is at an all time high, and people are scrambling to find the answer to health problems like autoimmune disease, diabetes, pain, chronic fatigue, anxiety, poor immune function, cancers, symptoms of multiple sclerosis and other neurological disorders, Alzheimers, dementia, and more. People are suffering from joint pain, headaches, indigestion, sleep difficulties, sinus problems, skin rashes and irritation, hair loss, obesity, foggy thinking, and many more symptoms that everyone tried to ignore but really should not. 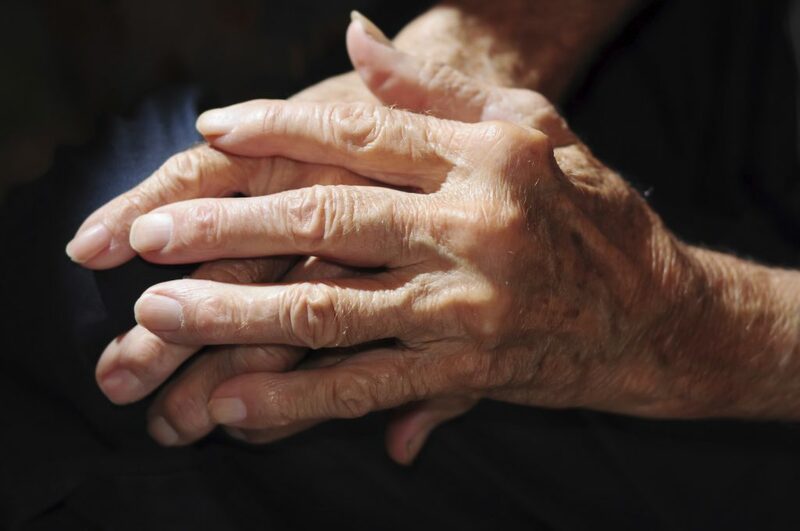 We seem to have the idea that the human body just gets old and wears out. But all of the research tells us that’s not what’s happening. Our bodies are made to renew themselves. We have a mechanism that creates new cells, yes, even brain cells – replaces them all within a matter of months. We have a mechanism that can remove bad cells, yes, even cancer cells, and can heal our body when it is functioning correctly. But what we’re “bought into” is the lie that our body gets old and worn out and we need to take things to get better. The typical story is that your body gets old and worn out and you need to take supplements to make up for nutrients or hormones, or things that your body no longer produces. Nobody who is selling a pharmaceutical or supplement is going to tell you that if you just stopped eating or drinking something you currently consume regularly, your body would begin to recover and heal itself. There’s no profit in telling you that and you need to think twice when you’re accepting advice or even paid research where the people paying are also trying to sell you a cure. The truth is that the only reason we need those things is that the people who sell them – chemical companies, pharmaceutical companies, supplement companies, all want to sell you their products. I think that’s a very reasonable assumption and given the profit motivation and the prevailing behavior of these companies, I think it’s better than 90% likely that conversation has happened more than once. Did you know what farmers know that are forced to buy seeds from the chemical companies? 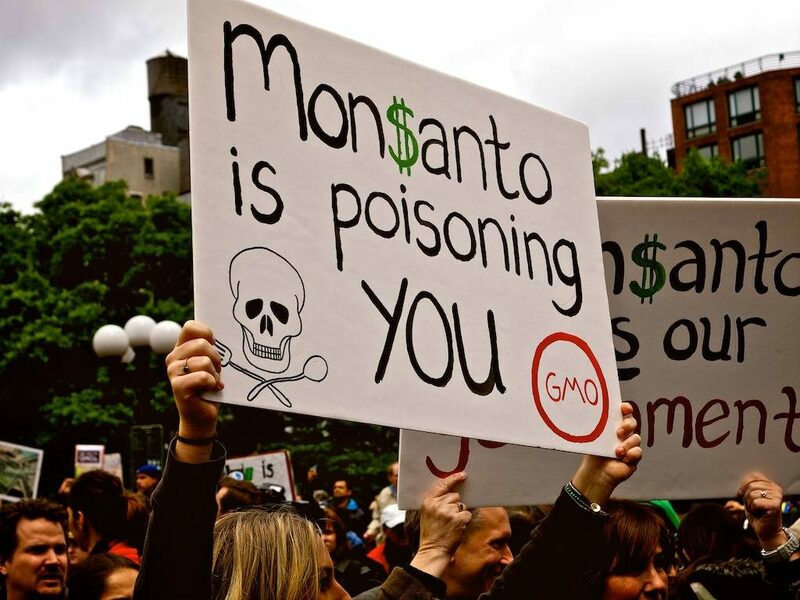 if they don’t buy seeds from those companies, a black van full of ex-military private security folks show up on their doorstep and ask them why they’re not purchasing GMO seeds. Do you think that’s not true? Ask any midwestern farmer or what the variety of videos now available on Youtube – the evidence is already out there for this massive coercion of farmers. So what’s called for is just a slight bending of the mind – a single thought like, “Maybe everything I’m being told isn’t really true.” And with that thought some reading and investigation – the information is readily available – it’s out there if you look for it. The answers are everywhere. If you read my prior article on this site then you know about this already, but let’s just review the key points because understanding this is EVERYTHING. Inflammation is a chronic cause of all of the symptoms you can feel and think are normal aging. Inflammation is not natural nor is it necessary. Inflammation is caused by eating, drinking, or breathing or exposure to things that you body doesn’t like. You know when you’re suffering from inflammation when your joints hurt, your head hurts, you stomach hurts, your muscles hurt, your vision blurs, you thinking gets foggy, or you start developing the hold list of chronic diseases I listed at the start of this article. The warning signs are the minor aches and pains which if ignored turn into the chronic diseases which are much worse. Unfortunately unless your doctor has been trained in functional/integrative medicine, he’s bought into the same lie. He believes like you that your body is just going to get older and there’s nothing you can do except medicate, medicate, medicate. His job, as he has been trained, is to identify your disease, and then prescribe the right drug or procedure. It’s not his fault but he’s not really trained to find the real cause and treat that. Normally the correct treatment for what you have is 180 degrees away from what your doctor has said. He will always tell you to add things – take a drug or a medicine, take a supplement, and of course the old standby – GET MORE EXERCISE, EAT LESS. You’re in a tough situation. In order to get better you have to disagree, even if silently, with everyone around you. You have to develop a belief and evidence that drugs and traditional advice will make you worse not better. Now I’m not saying you need to disregard or go against medical advice. There are times like when you have Type 2 Diabetes that your condition is such that you have to follow your prescribed treatment plan until you don’t need to anymore. But once you identify the root cause and begin to treat that, your body will know when you no longer need insulin or whatever it is you’re taking to mask your symptoms. Now the fastest way to get to a root cause if money is not an object is to select a functional medicine doctor and go see him or her. They will employ tests that will look for the root cause and will never prescribe anything until they know what is underneath your symptoms. If you’re obese and diabetic, they look underneath that and find the underlying cause. What’s meant by “lifestyle change”? it refers to things you consider to be normal and natural parts of your life like eating bread or drinking coke. Lifestyle changes are changes you currently believe to involve activities that couldn’t possibly be causing you to age and to malfunction. 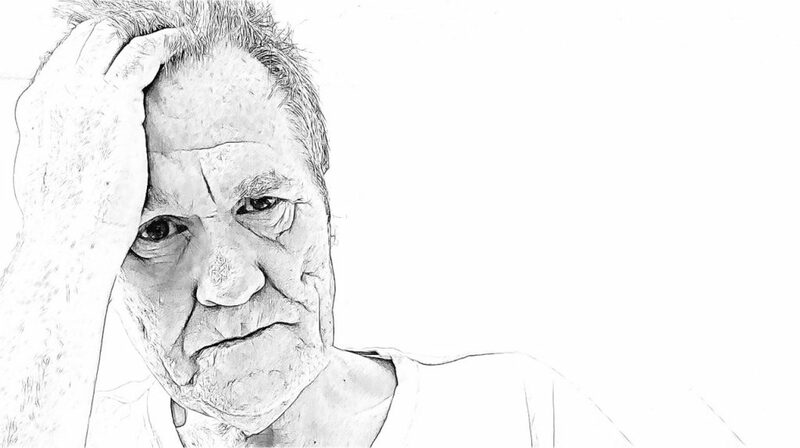 When it comes to getting older, experiencing pain, and chronic diseases, you have to decide that you don’t believe those are in fact a part of getting old and commit yourself to finding out if there’s a better state of being than getting old and sick, becoming a burden to your family, and living for another 10-20 years in pain. Can you get up enough motivation to at least test your lifestyle to see if you give up things that something about your health changes? Most people have to wait until the situation gets dire – a heart attack, a stroke, a failure in the liver, pancreas, or adrenals. Are you the type that has to wait that long to wake up and smell the coffee? If not, then you’ll need to make some massive changes rather quickly to find out if anything you eat and drink or use is the problem. Your approach is to eliminate the things that statistically almost always cause problems for most people. You’re not being very scientific, you’re just going to operate on the clinical experience when functional medicine doctors treat other patients with your illness. Remove all sugar from your diet – don’t use sugar in cooking, don’t take a litter in your coffee, don’t eat any fruit besides berries occasionally. Remove all grains from your diet – that includes any kind of bread, cereal, muffin, bagel, and not even whole grains. That includes rice, millet, barley, Quinoa, and anything that remotely resembles any of those. Remove all dairy from your diet and that includes cheese, yogurt, cottage cheese, and anything else made from milk or dairy of any kind. Remove all GMO from your diet and that will include anything made from corn or soy because those are the two crops that contain GMO throughout 90% of our fields. Believe it or not, that still leaves a lot of things you can eat but after 4 weeks you will know whether any of these is causing the problem. If not, you can transition to your next phase of testing but the chances are better than 80% that you’ll find your symptoms changing just based on this list alone. Once you do, you can put things back in to your diet until you find the one or two things causing the problem. Generally your reaction will be greater and more pronounced when you introduce it back than when you took if off your list before. When it’s beef, try to find “grass fed” beef and eat less of it. When it’s fish, try to find “wild caught” and salmon is probably your best choices because of the Omega 3. Eat salads and use virgin olive oil and vinegar as your dressing. Don’t cook with vegetable oils or any bulk oils – safflower corn oil, sunflower, peanut oil, etc. If you have to use oil, find some coconut, avocado, or olive oil and cook on low heat. When it’s chicken, try to find some cage free organic chicken and eat less at each meal and more vegetables. Using this second list will give your body more to work with and eliminate some other possible sources of inflammation more quickly. The idea is to make some “radical” lifestyle changes quickly in order to see if anything changes. Once you feel the changes, you motivation to keep moving forward will be a lot greater. I’ve been thinking for a number of weeks whether to include any articles relating to our food supply – supply chain – and it seems like an occasional article or curated paper would be appropriate to the subject of Health Over 70. I hope you agree. This paper does a good job of identifying the players in the seed and chemical industry – as he says – why are we talking about those two industries together? 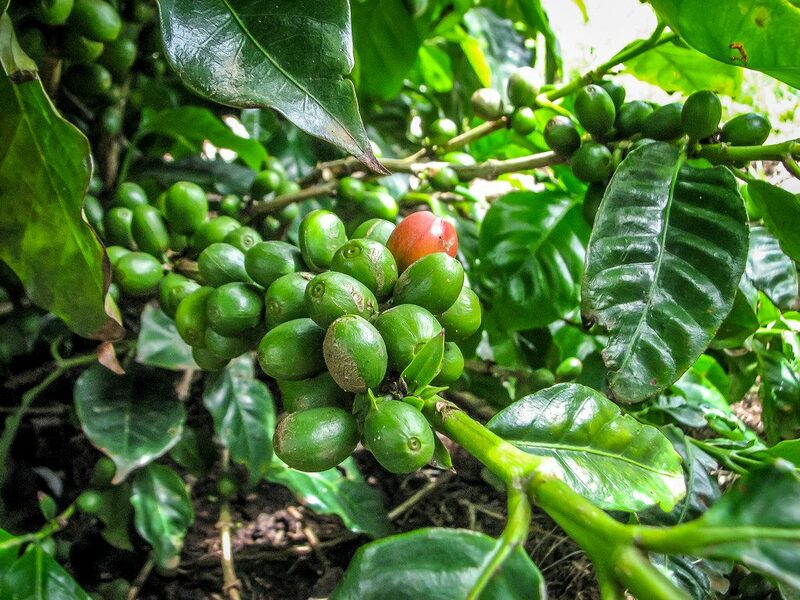 The good news is that unless you’re purchasing coffee from certain fields in Hawaii, or large agri-biz test fields, you probably won’t have to worry about GMO coffee for a while longer. 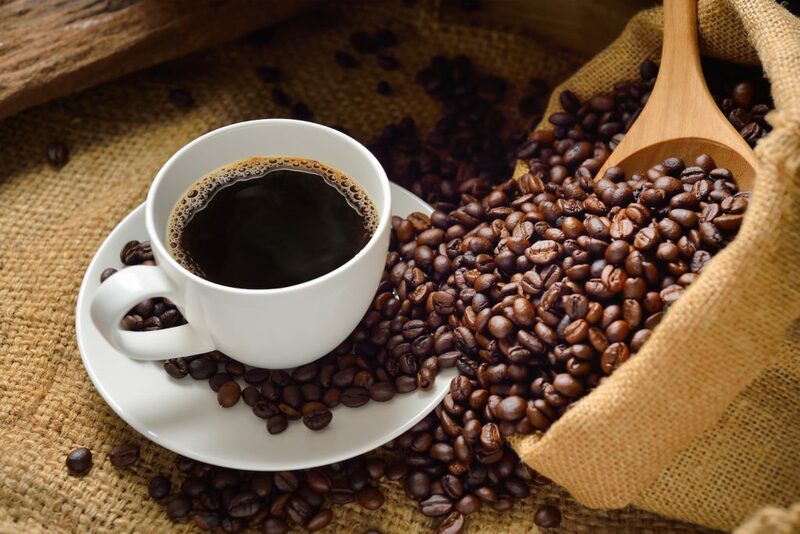 Coffee dangers probably lie more in the mould that grows on coffee sold in the US (other countries won’t allow coffee with mould content to be sold) or in sensitivities to caffeine. If you sensitive to the coffee mould or to caffeine then this will cause a mild to not-so-mild inflammatory reaction and as you know if you’ve been reading this website very long, inflammation is always going to lead to more fat production and storage. But if you drank coffee after 6pm and don’t plan to exercise, it is more like the caffeine levels will impact your sleep. You see, caffeine raises your cortisol levels significantly according to various tests, and cortisol causes your body to store fat. Coffee can increate cortisol even further (the “double-whammy”) by increasing your stress level and lack of sleep plus stress have a major impact on cortisol. You can also cause more cortisol production by working too hard and long hours – this will generally increase your stress and there comes more cortisol – some people drink more coffee during these times. Can Alzheimers be reversed? 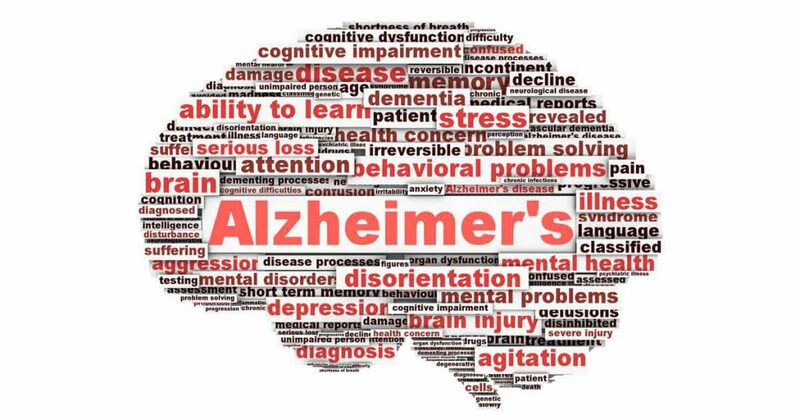 There are plenty of clinical results in the field of functional medicine that show promising results for reversing Alzheimers. What is functional medicine? It’s a field that specializes in finding root causes for chronic diseases and treating those root causes. Instead of the traditional “diagnose and medicate” cycle which is found in traditional medicine, the functional medicine doctor looks for root causes of inflammation, the primary cause of Alzheimers deterioration. When these root causes are found and treated, there can often be miraculous recovery. Of course, just like anything else, the earlier the symptoms are recognized the more chance that the condition can be reversed. If symptoms are allowed to continue for an extended period and it is very late in the progression of the illness, then there is less chance for remission but anytime you remove the sources of inflammation to stop deterioration that is really happening throughout the body and only presents itself in the brain first. 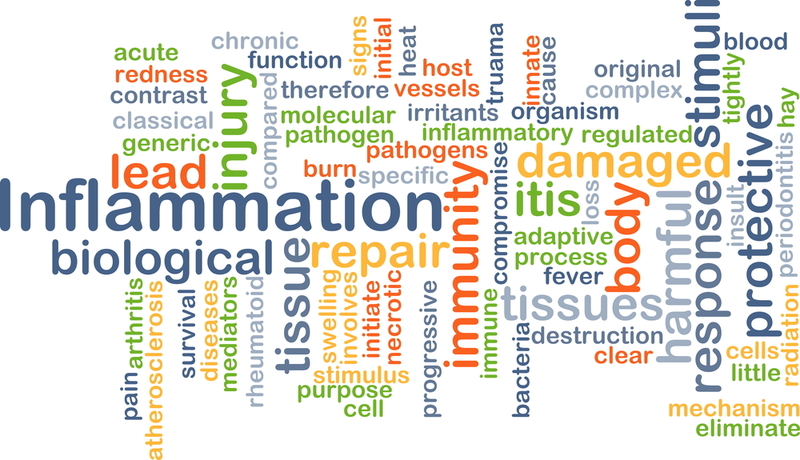 Inflammation can be caused by a variety of sources – toxins built up in the body from exposure to harmful substances from the air, our foods, our water, or eating foods that cause a mild allergic reaction called “sensitivity” where symptoms might be barely noticeable. Inflammation can also be created from a lack of vitamins and nutrients in the diet. I believe that our mental model in most cases is to look for what we can take – a medication or herb, to make our body function better. In some cases it’s what we can eliminate that will make a big difference. Here is a food list that will help detoxify and nourish the body specifically for those with early Alzheimers symptoms. If you can’t afford to go see a functional medicine doctor, then at least you can take steps to make sure you pursue a better diet. Belly Fat builds up gradually for most of us because we keep eating as we always did. Many types of food become harder for us to digest and convert to energy as we grow older. Just going on a diet usually doesn’t give us lasting results. Our body is converting most of our food to blood sugar and insulin in directing it to our fat cells for storage. So we end up searching for ideas for how to lose belly fat. 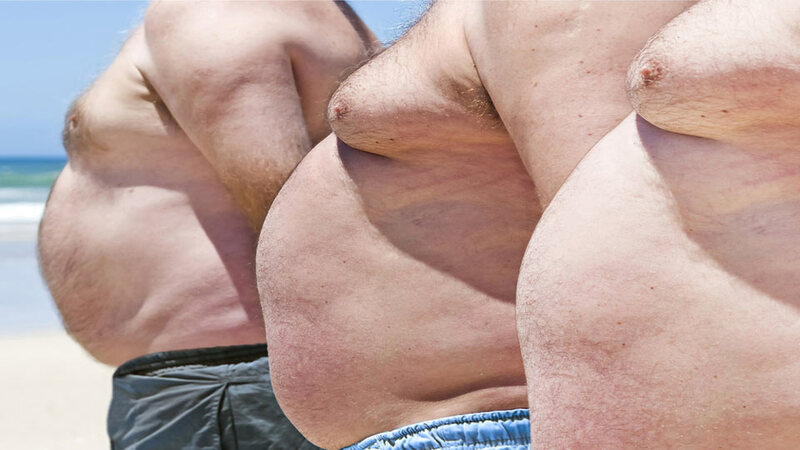 Excess belly fat more than doubles of risk of heart disease, diabetes, Alzheimers, and many other chronic diseases. Eating fat does not cause body fat – as research has established this over the past 5 years. It is more likely that if you are over 50 your belly fat is more related to intake of sugar, grains, or dairy. Sometimes excess belly fat can be related to other foods or toxins that cause a mild allergic reaction – called a sensitivity – in which case you need to see a doctor of functional medicine and get some testing done to locate the problem. One product I’ve found that helps to enable our body to redirect more blood sugar to energy and reduce insulin levels is conjugated linoleic acid or CLA. You can get CLA through the foods you eat – meat, chicken, dairy products, etc. but unfortunately to get enough to actually make a significant difference – about 2 grams – you would have to eat many pounds of meat and drink many gallons of milk a day. The only practical solution is to supplement. I have that MRM CLA 1250 has been the best supplement that I have tried. 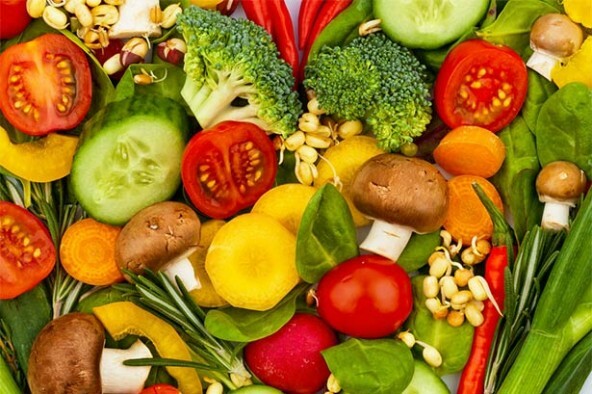 Why is the world suddenly adopting the “eat less meat” mantra? Why do James Cameron and Arnold Schwarzenegger suddenly come out on video about the China initiative to reduce meat consumption by 50%? 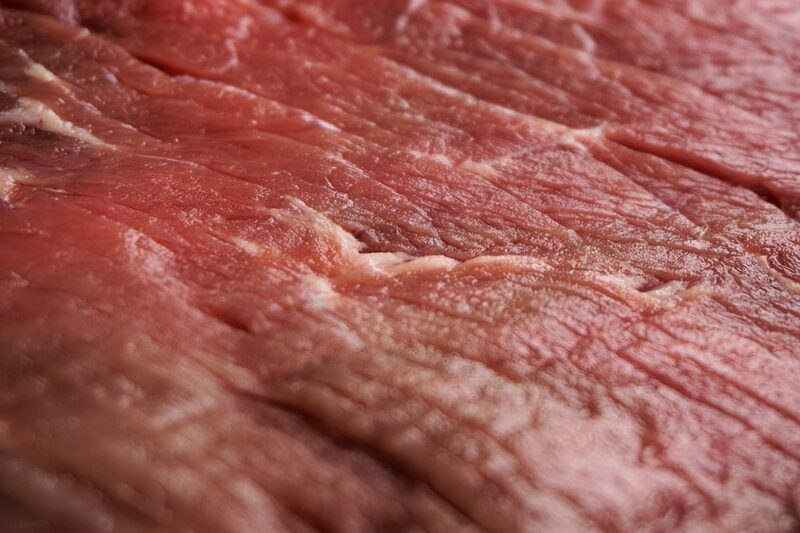 meat has plenty of vitamins and minerals but also contributes to body inflammation. Nobody is asking for us to go vegetarian or vegan, but they are asking us to consider a plate mostly plants to not only ensure our longevity but to also cure the greenhouse problem and save our planet. Are Nitrates in Vegetables Harmful? Nitrates occur naturally in fruits and vegetables. They are in the soil and in the fertilizer used by the farmers. They are also used to cure meats. Naturally nitrates on meat are less likely to be healthy because they will be in higher doses and exposes to higher temperatures they will produce more nitrosamines. Washing fruits and vegetables before eating helps to reduce nitrates and also any other leftover fertilizers or pesticides that have been left. Because they get their nitrates from the soil, concentrations can vary widely for most fruits and vegetables. There are measuring devices on the market – just a few that can tell you what concentration you’re about to eat. The Greentest is one of the best engineered products. The Ecotester tests for Nitrates and for radiation. If you really want to take charge of your health, then learning more about ALCAT food sensitivity test is a very good idea. Did you know you can purchase food sensitivity tests over the counter today? Even if you don’t have a food allergy, let’s look at the difference. Gastrointestinal disorders, such as Irritable Bowel Syndrome (IBS), indigestion, constipation, nausea, diarrhea, bloating, ulcerative colitis, Crohn’s Disease. Metabolic disorders, such as obesity, Type II diabetes, inabilitiy to lose weight. Inflammatory conditions, such as eczema, psoriasis, arthritis or asthma, autoimmune disorders. So bottom-line even mild food sensitivities can lead to inflammation and chronic inflammation is the root cause of heart disease, obesity, diabetes 2, dementia, and Alzheimers and a host of other chronic illnesses. If you want to escape the trap, find out what’s causing the inflammation and stop taking new medications to mask the symptoms. The Platinum Plus product is the more compressive because it includes medicinal herbs and foods more often associated with a healthy diet. It also includes antibiotics and anti-inflammatory agents as medications or even for those who use dairy and are exposed to antibiotics via the food chain. The food panel for this product is much broader with 237 foods vs 150 – almost double the food list. Following are the specific lists for each category. 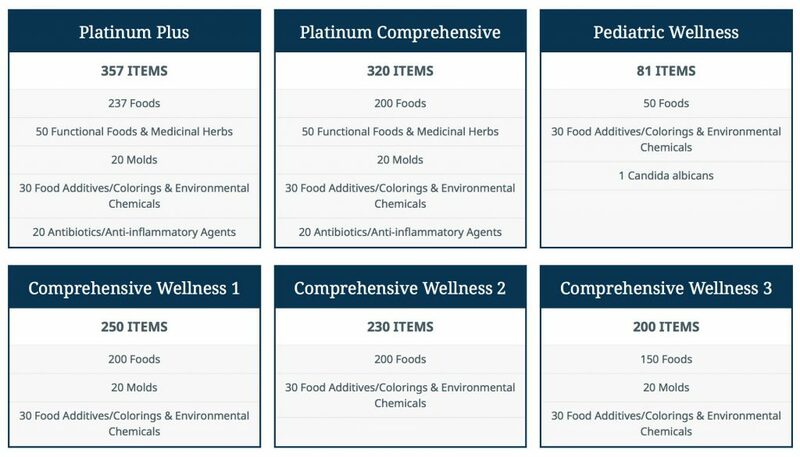 The Comprehensive Wellness 3 includes the following food list along with the above-listed 20 molds and 30 food additives. Everything required including local blood draw and shipping is included so these prices are “all-in” prices. If you’re simply looking for a basic test and don’t have any specific symptoms then I recommend the Comprehensive Wellness 3. If you have specific symptoms and believe that you ingest or take things on the more advanced lists, then I would recommend the more comprehensive test. I like Amazon for these items. Price including shipping is usually best. Everyone would like to be healthier. But we tend to think about our health as purely a physical challenge – exercise more, eat better, sleep better, etc. The pathways to health also includes some changes we don’t often think about. But they aren’t. They’re part of the process by which your body deals with things you’re eating and drinking that aren’t good for it. And they’re part of the build up of toxins that shouldn’t be in your body but take a concerned effort to remove. The body has a remarkable ability to heal itself and most of what we believe is the “normal aging process” is just not that at all. Accepting that everyone is a normal part of aging is one of the greatest lies and greatest barriers to taking action to make ourselves healthier. Pretty soon it’s five years later and now you have all kinds of symptoms – you’re diabetic and obese, and your feet hurt and you’re taking 15 medications. Doctors aren’t educated to find the root cause of your illness, they are taught, and paid to diagnose and prescribe. You get caught in that cycle and you’re going to get worse and worse until you die young – much younger than you should because your body was designed to last 200 years. You’re been processed by the media for so long that you don’t know the difference between something in a package and something that grows in the ground. You think they’re the same and they’re not. Processing temperatures form toxins in food – bread, crackers, chips, packaged mixes, and the list is endless. Ingredients on cans and packages contain things you can’t pronounce and don’t know its purpose. Their primary purpose is to make things last longer, to preserve, to color, to make it stiffer or softer, or thicker or thinner, and to promote longer shelf life. When a package says, “Organic” or the brand says, “Organics” you trust that and don’t question who raised it, what they used as fertilizer, whether they sprayed it and with what. Manufactures are finding ways daily to fool you and take advantage of what you believe about food labelled organic or natural or fresh. As long as you don’t know the difference between real food and everything else, you’re going to be fighting uphill to become as healthy as you were built to be. People who dramatically change their lifestyles are having dramatic and life-changing results. It’s never too late to start doing things right – you just have to understand that the body is a tremendous healing machine and if you can suddenly and dramatically change your lifestyle then amazing things can happen. I met a lady who is 58 and was on an insulin pump and taking 15 medications daily. She was obese and could hardly move around her house. The doctors gave her six months. She went to a seminar and made some dramatic changes in her lifestyles and within 6 months she was getting significantly better and within 12 months she was off all but one medication including insulin. Today she is one of the most alive and vibrant personalities I’ve met. Nobody would guess that her recent past was so different. She shows the surprising loose skin on her arms to emphasize the magnitude of the change. Our doctors do a lot to help us adopt this belief. They believe this and we look up to them so it’s not hard to understand why we begin to believe it as well. But this is a very damaging belief because it’s not based on fact. Hundreds of studies and thousands of clinical results show that everything – heart disease, diabetes, Alzheimers, obesity, multiple sclerosis, ADHD, and many more illnesses considered by doctors to be irreversible – are in fact reversible. They can be cured when you find and remove the root cause. They cannot be cured by covering over the symptoms with drugs. We have plenty of evidence for that as well. But the belief that these illnesses are incurable keeps us from even looking for the root cause. That is significant because it means that our health could greatly benefit from changing our belief in this area. As is always the case, how we think about something, how we believe, is the most influential factor in our ability to make progress. Why halt the progress then when it comes to our health and longevity?